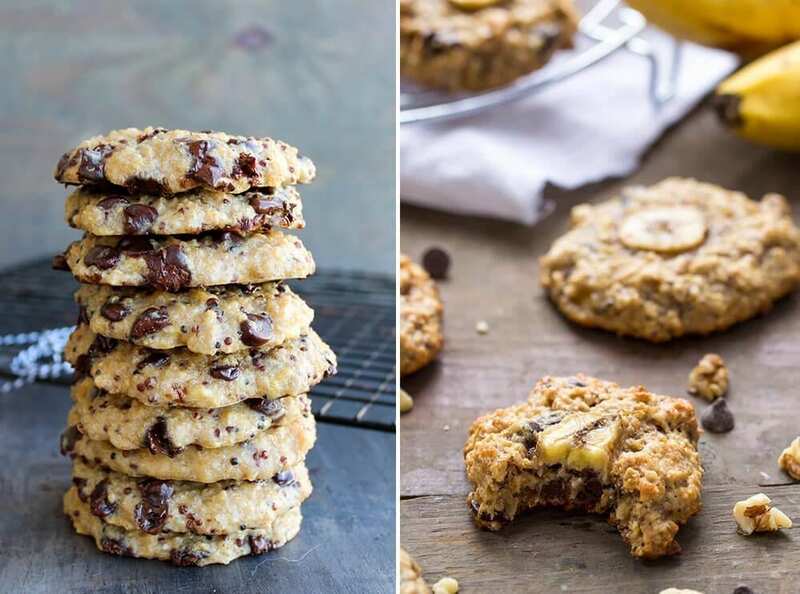 4 healthy homemade cookie recipes with no added sugar! The human body isn’t designed to consume excessive amounts of sugar and it can cause all kinds of short- and long-term health issues such as chronic headaches, fatigue (known as a sugar crash), fast weight gain and an increased risk of disease. Even if you replace your Oreos and Chips Ahoy for homemade cookies made from honey or maple syrup, you’re still consuming a lot of processed sugars. These recipes contain naturally occurring sugars found in fruits. Where chocolate is used, we recommend using dark chocolate with a high cacao content. 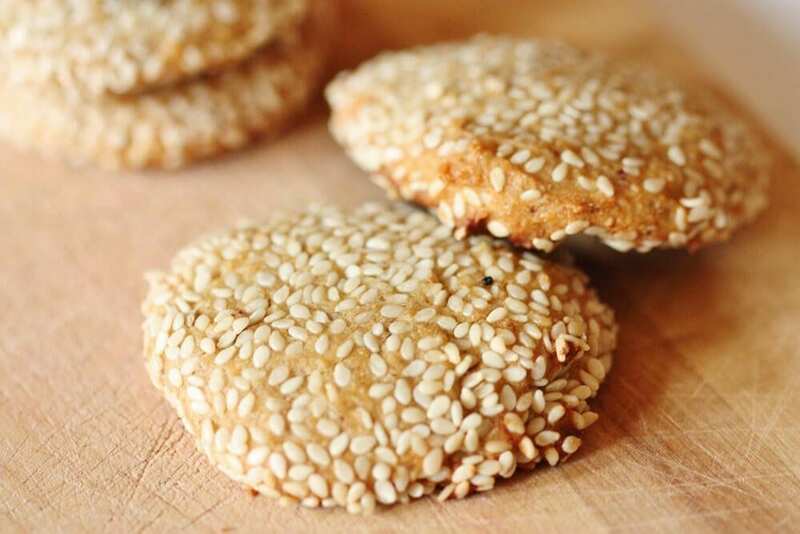 These sweet sesame cookies skip regular sugar and honey, opting instead for plant-based sweeteners such as date paste and palm sugar. 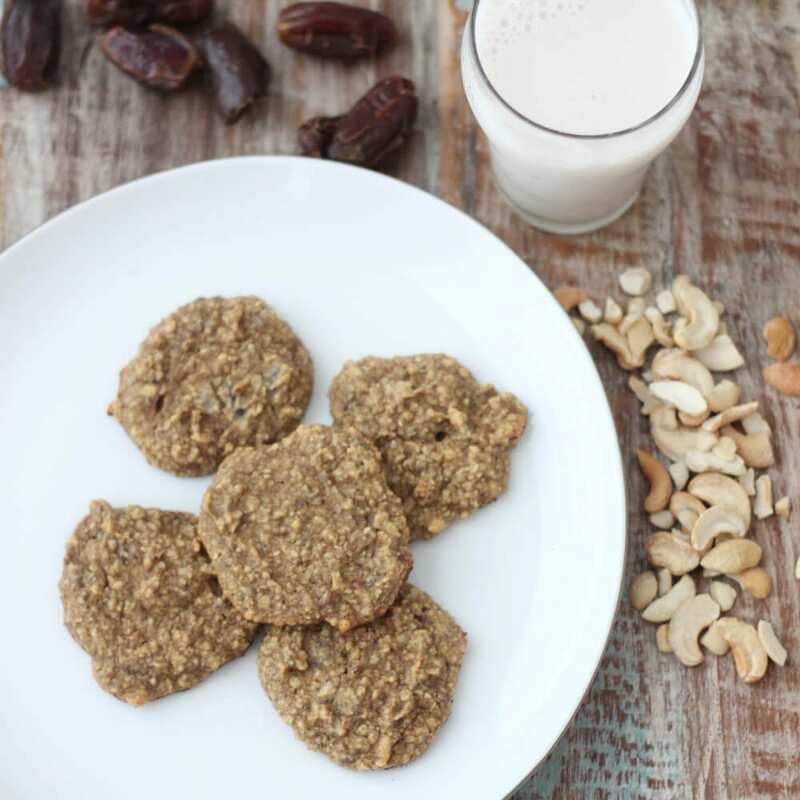 They’re quick and easy to make and the recipe is easily modified so they can be made gluten-free. Depending on your choice of sweetener the cookies will come out with a different texture; using date paste they’ll be soft and fluffy, using palm sugar (also known as coconut crystals) they’ll be crunchier. For date paste / agave nectar: whisk the paste or nectar with the tahini and olive or coconut oil. For coconut crystals: mix the tahini, olive or coconut oil and the crystals with a fork. Keep adding oil until the mix is wet and not too sticky. Combine the mix with your dry ingredients until it is thick and sticky. If it’s too sticky, use more oil or some almond milk. Put the dough in the fridge for half an hour, then roll it into 4 cm balls before rolling each ball in sesame seeds until it is completely covered. Place all the balls onto baking paper, then bake them in the oven for 10 minutes, or until they’re golden brown. These light sugar cookies won’t give you that gross feeling nor the sugar crash that munching on normal cookies gives you. The cookies will get sweeter if left to cool down at room temperature. Blend the dates for 30 seconds until smooth. Add the nuts and blend again. Finally, add the egg, vanilla extract, almond extract, chia seeds, baking soda and salt and blend until it’s barely chunky. Transfer to a baking sheet. Place 1 inch apart and flatten the cookie before baking. Bake for 9-12 minutes. Let them cool for 2 minutes before removing from the sheet. 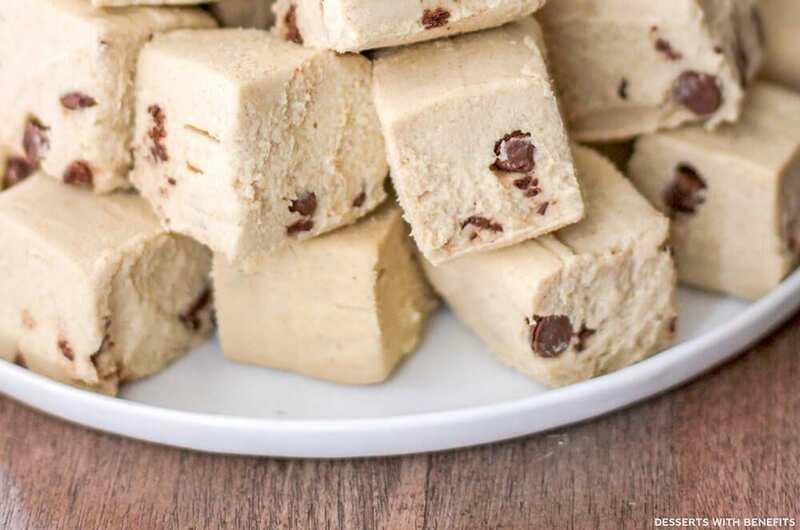 This sugar-free cookie dough dip replaces sugar and artificial sweeteners with fruit-based sweeteners while retaining the same great taste. You can serve this as a dip, a spread or filler, eaten as-is with a spoon or mixed into other home-made recipes like cupcakes and pancakes. Place dates in bowl with water and let sit for 8 hours. 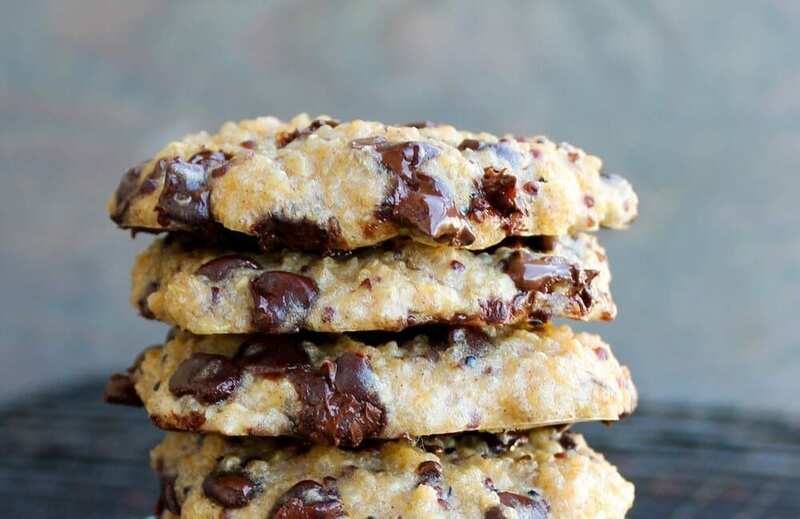 These soft, sweet cookies are best made with leftover red quinoa, banana and chocolate chips. They can easily be made vegan by replacing eggs with flax eggs too. Slowly pour the cooked quinoa and flour into the bowl. Fold in the chocolate and mix it all together.